Our topic for the Autumn term is The Mayan Civilisation. We will be looking at America, including Mexico, and how the Mayans lived. P.E will be on Tuesday afternoon and Friday afternoon. 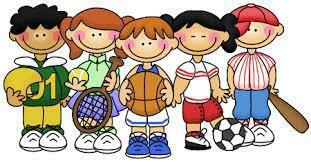 Please ensure P.E kits are in school every day, in case there is a change of timetable. 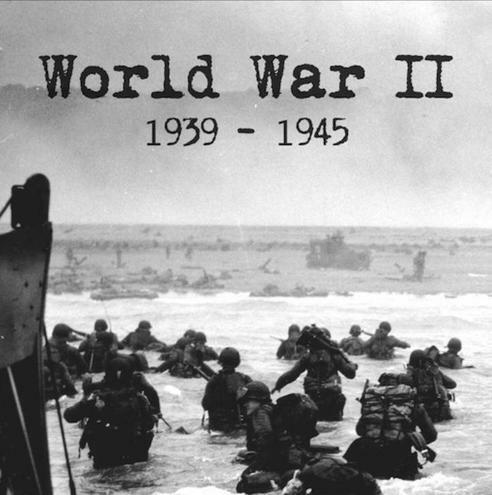 Our cross-curricular topic for the Spring term is World War 2. Mrs Tomlinson's Grandma visited our class to answer our questions about evacuation in World War 2. She was evacuated to Blackpool at the age of 8. We use Accelerated reader in Year 4/5. After every book we read, there is a quiz to complete. If we get 100% on a quiz, we get a star on the wall with our name on. We had fun finding out about Anderson shelters and making our own models. Welcome back! 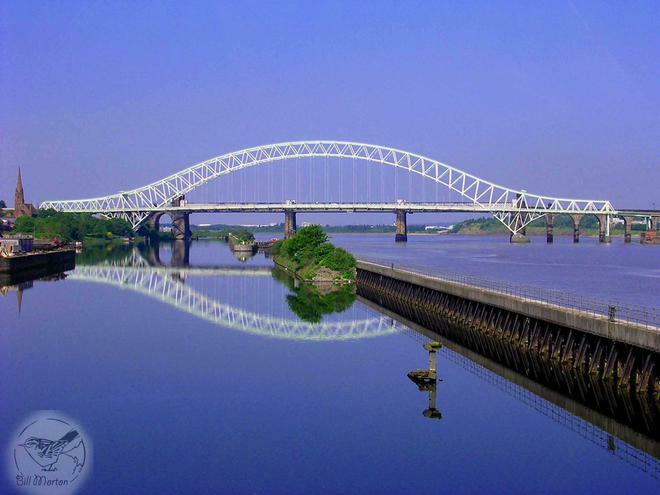 This year we've got an exciting start with our topic all about our local area: Remembering Runcorn's Relics! We will be investigating a range of sources to see what we can discover about the past in our town, as well as focusing on the area as it is now, and how it is going to change in the future. 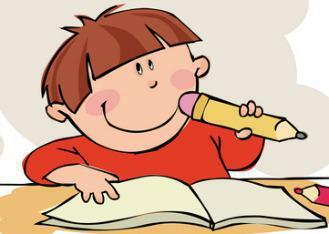 Homework will be set each day from Monday to Thursday, and is expected in the following day. 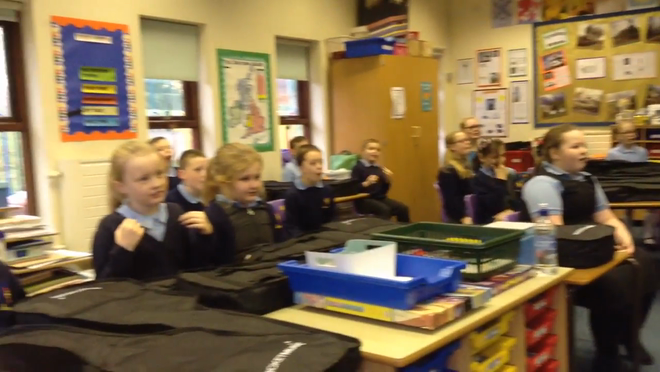 Year 4 and 5 took part in the Fit 4 Life project in January. Over 3 sessions, we learned all about healthy diet and fitness. We were surprised to find out how much fat and sugar are in popular foods and drinks, and we found out about healthier alternatives. 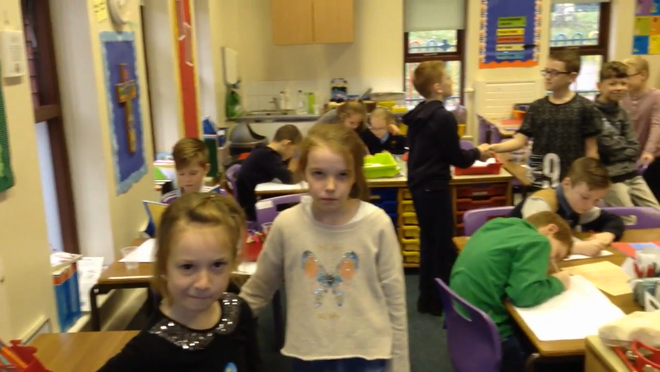 We presented the work we had done to parents, and the other classes in school. 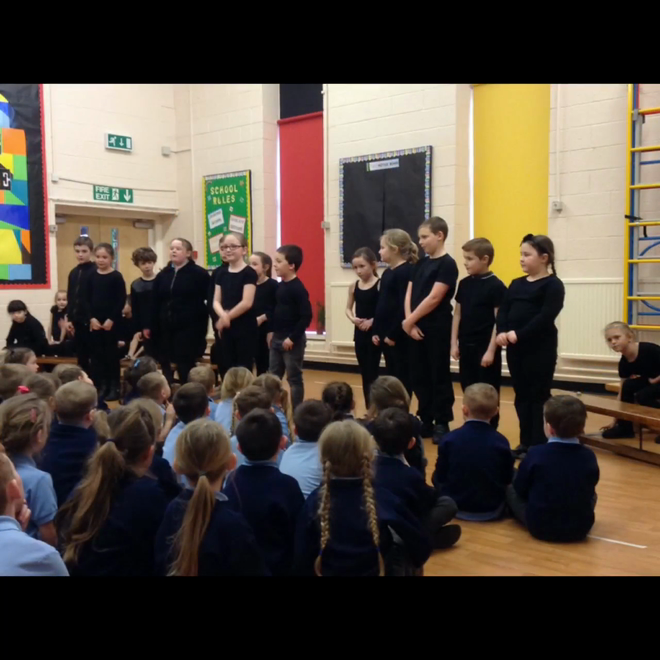 Well done to Year 4/5 for their wonderful performance of Shakespeare's Romeo & Juliet! The class have been working hard with Andrew Curphey since September, and performed to the school and visitors on Wednesday 20th January. Many thanks to Andrew for another great show! 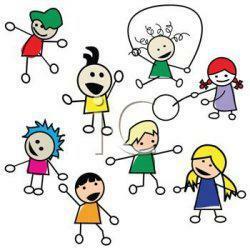 Music lessons - fun warm-up! 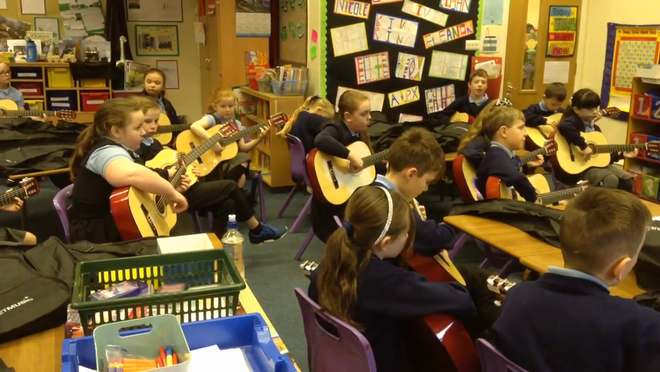 Music lessons - learning to play the guitar! If you wish to send Mrs Tomlinson a message regarding classwork, homework etc you can use this page. If you have a more serious issue you would like to discuss with Mrs Tomlinson or Mrs O'Hare please contact school directly. If you require a reply she will be in touch as soon as possible.